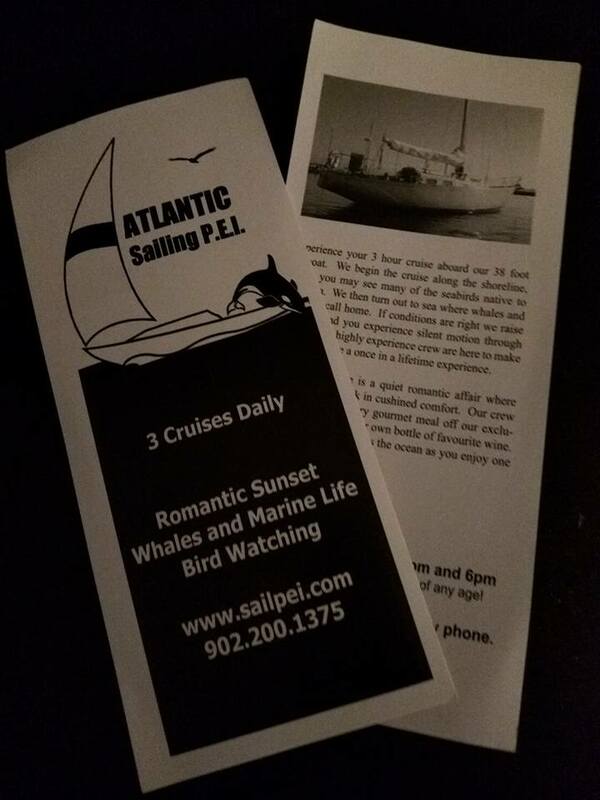 Atlantic Sailing PEI is an eco friendly, family owned tour company. We are doing our part to protect the environment for our future generations by eliminating carbon emmissions, noise and environmental pollution. Daily departures from North Rustico on our 26' Sailboat 'Calypso' at 10am, 2pm and 6pm. Calypso is electric solar powered and offers an almost silent experience regardless of under motor or sail power. Make a reservation or drop by the dock and take your chances we have space. Our 38' sailboat 'Folie' is currently out of service. Family friendly with fun for kids of any age! Although we work hard to provide as much wildlife viewing as possible, we cannot guarantee you will see any of the above. Our family has been sailing the Great Lakes, Caribbean Sea, and Atlantic Ocean for most of our lives. Our children have grown up at the helm of our sailboats around the world. Everything is provided to make your cruise as comfortable as possible. Included is a selection of non-alcoholic drinks. Feel free to bring your own with you as well. Experience your 3 hour cruise aboard our 26' sailboat out of the beautifull North Rustico Harbour. We begin the cruise along the shoreline, where you may see many of the seabirds native to this area. We then turn out to sea where whales and dolphins call home. If conditions are right we raise the sails and you experience silent motion through the sea. Our highly experienced crew are here to make your adventure a once in a lifetime experience. Price $65.00 per person. Our sunset cruise is a quiet romantic affair where you curl up on deck in comfort until sunset when we show you a spectacular PEI Ocean Sunset across the ocean. With our new electric drive, there is never a noisy motor interupting your experience. Bring your own bottle of a favourite wine or spirits. Price $80.00 per person. Dinner is available if prearranged at an additional cost of $40.00 per person. Menu changes so please email info@sailpei.com to make arrangements.